Our livers are a very over-looked organ when it comes to daily life. We tend to think about our hearts, our lungs, and our brains long before we think about our livers! The liver is so important that it can actually regenerate itself, even after 80% of it is removed. We can function with as little as 1/6th of our livers- this is why it can take years, even decades, before we even notice any apparent liver dysfunction. Many people say to me, “well I do not have liver pain, so I must not have liver issues.” I do not believe that is true at all and we will get into symptoms of a sluggish liver soon. These days, we are bombarded with environmental toxins in our food, air, household products, and even our furniture. Part of the liver’s job is to filter out toxins and convert them into less toxic substances so they can be excreted. However, when the liver gets bombarded by toxins, and coupled with a poor diet, it cannot do its job correctly. This seems to be the reason for this obesity epidemic, as well as a SAD lifestyle. Toxins get stored in fat when the liver cannot handle the constant influx of toxins. All of these things factor into illness! When your body is unable to get rid of the junk, disease will start. 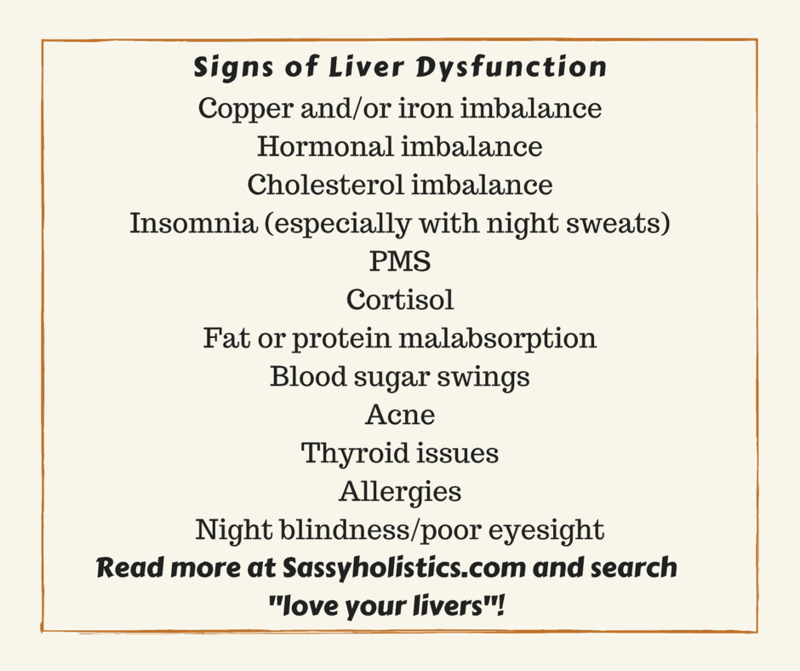 Anyone that is experience any kind of illness will definitely have some form of liver dysfunction (plus leaky gut and mineral imbalances- all 3 are related!). So what does the liver do exactly? *Detoxifying incompletely digested proteins, excess hormones (estrogen, progesterone, testosterone, etc. ), drugs, food additives, poisons, etc. *Reducing blood sugar swings up to 65%. That is a LOT of important processes that the liver handles. No wonder why so many people are suffering from illnesses. Have any of those symptoms?? I’ll guarantee that you have one, if not several. I’ve put the most common symptoms in bold. Now, there are 2 different phases to liver detox, and you can read about that here– there is a GREAT chart to explain which phases needs what as well. There are many nutrients that are needed for these phases, and there are a few foods and herbs that truly help certain phases. So how we do love our livers? Herbal infusions like nettles, oatstraw and red raspberry leaf. Infusions are extremely nourishing to the body, and most of them help with liver, lymph, kidneys, and the adrenals. Or you can even try the amazing BioRay Liver life tincture! Whey protein is also an amazing helper for the liver since it helps the body create more glutathione. Gaia Herbs “Sweetish” Bitters . Bitters are especially helpful for bile flow, improving stomach acid, and helps assimilate nutrients. Sunflower Lecithin: Sunflower Lecithin is not something well known yet, but it is gaining popularity. 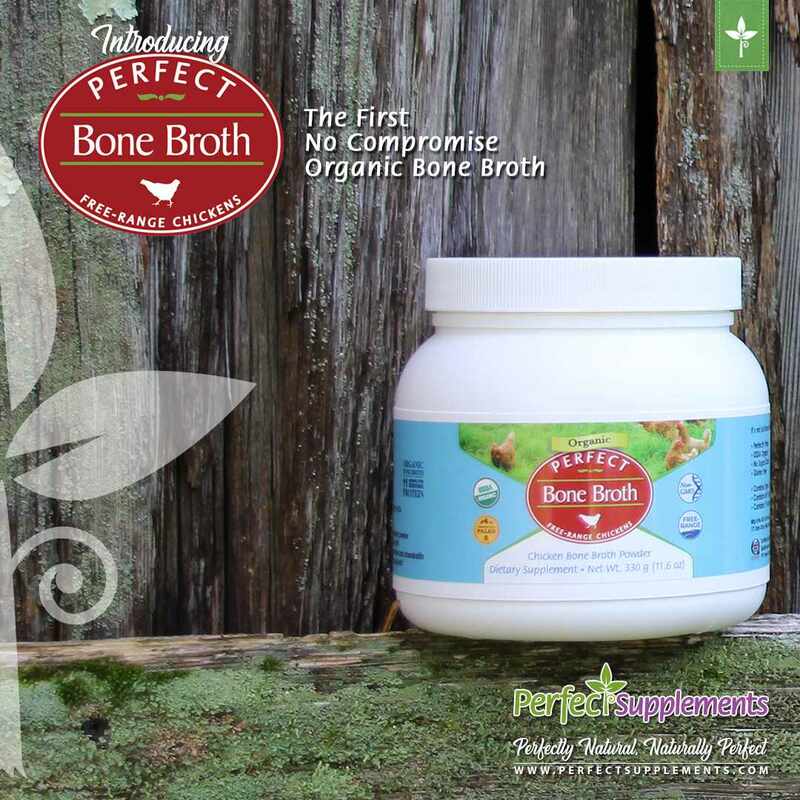 This form of lecithin is rich in phosphatidyl choline, which is a B complex vitamin that has extremely important roles in fat metabolism and liver health. It helps with stimulating bile flow and can help flush fat out of the liver, and it is also extremely important for brain health. One of the BEST liver helpers is actually liver itself. Beef liver is one of the most nutrient dense foods on the planet- but if you are like most people and cannot stand the thought of eating it, you can also get beef liver capsules or powder! We usually recommend doing an HTMA first though to check your metabolic rate as well as copper status before introducing beef liver. Start cleaning up your home! Toxins in everyday beauty and cleaning products are among the biggest threats to our health, and using them will continually stress your liver out as well. This post goes over the most important things to work on switching out. There are SO many ways to help the liver out. The key is to use herbs and foods that assist and aid the liver, hopefully as gently as possibly. We don’t want to do harsh liver cleanses (the liver doesn’t actually get dirty, just sluggish) unless you are already familiar with them, or you are under the care of a knowledgeable practitioner. There are many ways to help decrease the intensity of copper dumping. Keeping your liver working well is key, as well as reducing the stress and anxiety that comes along. To help get through copper dumping: Castor oil packs, red raspberry leaf tea, nettle infusions, full-fat dairy (calcium helps slow the effects but doesn’t stop it), salt water (1/4 tsp in a glass once or twice a day), dandelion root tea, milk thistle, EFT (tapping), legs on the wall yoga pose, and Butekyo breathing (seriously, works wonders, check YouTube! ), and rebounding on trampoline or yoga ball. Overall, bile and fiber are both incredibly important for detoxing of any kind. Potassium especially is also helpful as dumping copper can “waste” this mineral- but be cautious as overdoing it when we’re potassium deficient can actually create more copper dumping (frustrating, I know! Low and slow, easy does it is the key). There are many ways that a copper dump can be induced, so be cautious: exercise, hot shower, consumption of a food or supplement high in molybdenum, manganese, or sulfur, and even anxiety itself can initiate copper dumping. Fluoride is a Neurotoxin- so why is it still in our water? Gallbladder: The Liver’s Best Friend!